At Poles and Blinds we go to great lengths to make shopping with us easy, inspiring and fun, which is why we have put together a section allowing you to view our range of blinds which we recommend to suit the individual requirements of each room in your home. Within our bedroom blinds section we have listed our top selling blinds which are ideal for bedrooms based on the dim-out and blackout features in the fabrics. The products selected in this section are based around relaxing colours to help create the perfect mood in bedrooms. If you need some help chosing the most suitable style of blind for your bedroom, please refer to our short guide on the best blinds for bedrooms. 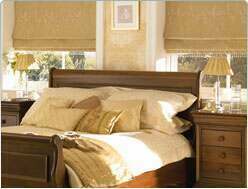 The three most popular styles are, Roller Blind, Roman Blinds and Wooden Blinds. 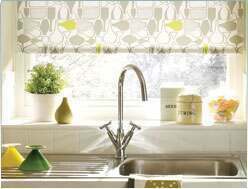 Our selection of kitchen blinds have been hand picked from our best sellers which allow precious light into the room, are less affected by damp environments and are styled more towards a kitchen theme. 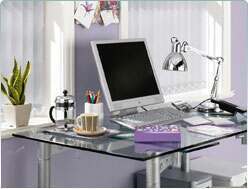 Privacy, good light control, less affected by damp environments and bathroom themed. This section lists our top selling blinds which are perfect for bathrooms and toilets. 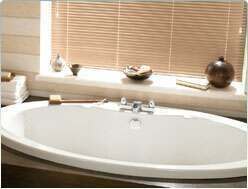 The most popular choice for the bathroom is the roller blind. Also very popular are wooden blinds in the bathroom with their tilt control allowing the control of the levels of light while keeping the privacy bathrooms require. 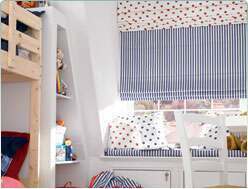 Hand picked and specially suited to children’s bedrooms, this section is devoted to blinds in exciting styles and fabrics kids will love, all made from fabrics with dim-out and blackout properties for a restful nights sleep. Commercial, or office blinds need to meet the criteria for allowing natural light in during the day but keeping privacy at night. Within this section we have listed our top selling blinds which meet this criteria as well as special fabric properties including flame retardant, light reflective and glare reduction. 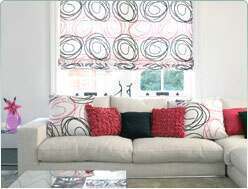 This section list a range of our best selling blinds all hand picked and ideal for living rooms. The range includes roman, roller, venetian and vertical blinds all in our best selling styles and colours. For any extra help or advice with regards to buying blinds for your home or office, please contact us on 0845 465 0101 and a member or our team will be happy to advise you. We have categorised our most popular blinds in to colours to help you select the tone that best suits the decor of your room. To narrow our extensive range of blinds down to a specific colour range please click on the colour blocks below.